See what people have to say about their UnCrabby Cabby experience! If you want to share yours, you can on our Yelp, Google+, or FaceBook page! Good, dependable, friendly, competitive,.car service. Not dirty old cabs, but nice clean cars. Highly recommend. My husband and I used this service to get to Midway Airport. Professional and right on time. Will use again !! Uncrabby Cabby has been a wonderful company to deal with. They are on time and courteous. They helped my daughter with her baggage and always arrived at the prearranged time. It has been a pleasure to deal with them. We used The Uncrabby Cabby for new year’s eve. Our driver, Gregory, was extremely friendly and professional. He arrived promptly for our pick up to and from our destination. Their communication with us was excellent. We received a confirmation text, then a text with our driver’s name and vehicle description, and lastly a text when he arrived. Booking the reservation with Phil was a very pleasant experience. We will absolutely use their taxi service again. I have been using Phil and his team for over two plus years. They do a fantastic job! Professional, friendly and great service. They have taken me for many trips for work and respect when you need to be on a call. I have also used them for family trips to the airport. Never have had an issue. Always professional and friendly. You can’t go wrong with this team! This company takes so much pride in their excellent service. I would recommend them to anyone who travels frequently. I used them for large and small group pick ups to and from the airport. Phil, the owner, does a great job at accommodating your requests and is very responsive. The camp I ran was a music camp, and they dealt with string instruments well. They’re not experts with string instruments, but definitely were very open and willing to take my recommendations on how to handle them, and we never had any issues. They have sedans and SUVs, all very nice looking vehicles. They keep them fresh and clean, provide you water, a charging station. 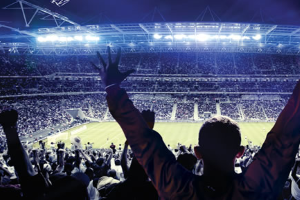 It’s really outstanding service with competitive prices. Great! Very professional and clean, he was also very cheerful and friendly despite having to pick us up at 5 in the morning. Would definitely use again! I’m a big fan of Uncrabby Cabby. We needed a way to get to the airport with a car seat for our toddler. Booking by email was easy. Our driver, Alexander, arrived right on time in a clean black Lincoln Towncar. The car seat was well installed for my little one, and there was plenty of room in the back for me and my husband. On the return trip, we booked the day before and they were still able to accommodate us. Alexander was in touch with us before we got to the curb, and we barely had to wait before he arrived. At the end of each ride, they accepted our credit card by smart phone. Would definitely recommend! Just wanted to say thanks! I was very impressed that things went so smoothly despite the complications due to lack of communication since i was out of the country without my cell phone. I will surely remember the name Uncrabby Cabby the next time I am in the Chicago area. 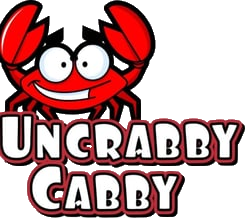 I just had a great experience with the Uncrabby Cabby. Andre (hope I got that right) picked me up very early Sunday morning right on time and got me to Midway without a hitch. He was very personable and the vehicle was extremely tidy. I will use this service from now on. Thanks!!! The Uncrabby Cabby is the best service out there! Courteous dependable service and Phil is great. 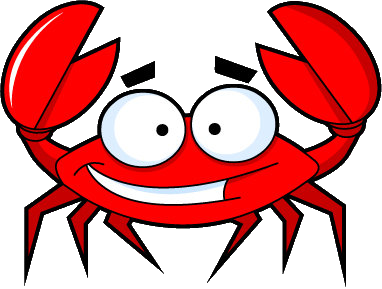 Our company will continue to use the UNCRABBY CABBY!! Great experience. It was more like getting a ride from a friend than taking a cab. Riding with Uncrabby Cabby was nothing like the “adventures” I’ve had with regular cab services. Nice guy. Very responsive! I definitely recommend Phil and his team if you need a lift to ohare. Used them to pick us up at 4AM to get the family to the airport. He was prompt and courteous. The driver was great, the car was clean and a very good ride. Got us to the airport earlier than planned. Had them pick us up also, texted them as soon as we landed and the driver was there five minutes after we got outside, Same driver as the one that picked us up. Our flight was delayed by three hours, yet he was there. I will use this company over and over again. Driver was very friendly. Don;t remember his name, I just remember he lived in Bolingbrook or Plainfield. We travel a lot and have been using Phil and his drivers now for about 3 years for airport service from Oak Park. We have had nothing by extremely dependable and pleasant service. The cars are always immaculately clean, the and the drivers are consistently professional and personable. Infinitely preferable to Blue Cab. I have been using Phil and his crew for over a year and they are an excellent bunch of people. Every time I have been picked up the driver has been on time and friendly. I travel weekly for work and I need a company that is reliable and flexible due to flight changes that may occur last minute. This has happened a couple times since using their services and they have been nothing but accommodating. Its nice to have a company where the drivers are friendly, helpful, flexible, as well as the fares being affordable. I have enjoyed their service so much that I have recommended them to co-workers and my family for their needs. Had a great experience using them. I reserved over the phone the morning of my departure (I was coming back to O’Hare then traveling to S. Elgin). I was quoted $55 which was fair. As soon as I landed I got a text saying the car was there and for my to call or text when I was at bag claim exit door 1D. Walked outside and then a black town car was there in 2 min to pick us up. Phil was the driver and very nice. Ride was clean and luxurious. Overall great experience and way worth it over a cramped, uncomfortable taxi. We have used this service three times from Midway to Lemont. Each driver has been polite, helpful and most definitely uncrabby. The cars have been clean and stocked with a snack and water, included. I really like being able to make a reservation online and then following up if there are changes (once, our flight was cancelled & we had to change pick-up to the next day. No problem.) And no matter how much I bug Phil on the other end of my email/cell phone he is responsive and helpful. You can tell he has a good sense of humor, which is what it takes these days. But professional. Also the price is very reasonable compared to some of the more crabby limo people I’ve dealt with. I’d recommend Uncrabby Cabby to anyone. Uncrabby Cabby was fantastic. Phil was great to work with. He is friendly, follows up quickly on requests and takes care of any last minute details leaving me with no worries. He took great care of our sales guys driving 12 or so of them from Olympia Fields to O’Hare and everyone got to the airport on time! I will definitely call Phil for any transportation needs I have in the Chicagoland area. We started using these guys this past year and have been delighted with their responsiveness, friendly attitude and appreciate the reasonable pricing. After having them take us to and from both Chgo area airports, I phoned them recently to see if they would consider picking up our teenage daughters from a Chicago venue and bring them back to the suburbs. We normally would go in to pick them up but after a particularly demanding week were tired and not keen on spending an hour 1/2 in the car that late. When I called to see if they would do it, I expected a polite brush off and that was the complete opposite of what I received. They treated them as if they were their teenage daughters and agreed to do it, were there on time and the girls thoroughly emjoyed chatting with the driver when he picked them up. Compliments to a very service oriented team. I made a reservation for a friend coming in from Europe and Phil was great to work with. It is very rare to find good customer service these days, but Phil went above and beyond. I highly recommend this company of you want a smoothe, hassle-free trip to/from the airport! I needed quality, reliable, trustworthy, safe transportation from O’hare airport in Chicago to Itasca, IL. A business associate suggested I call on the Uncrabby Cabby. I emailed them the day evening before my flight and to my surprise Phil, the founder/owner of the company emailed me back almost immediately. I sent a follow up email with my flight info and Phil gave me his mobile # and said he’d have a car waiting for me when I touched down and that I should just call when I get in. I called the Uncrabby Cabby right after I got my bags and Phil showed up in a beautiful and comfortable late model vehicle (no crabs on it) and got me to my destination in short order. I didn’t expect that kind of service from a local company in a place as big as Chicago, Illinois, IMPRESSIVE! I run a service company and it does my heart good to see a local business owner giving great service with a smile at a fair price. Great choice! Great drivers, clean cars, reasonably priced. Definitely recommend! I have used the Uncrabby Cabby several times. I recommend it to my family, friends and business colleagues all the time! Great service from driver Buxton to ORD and also picked up by him when we returned! Customer service from Uncrabby Cabby is excellent! Super phone etiquette and driver relations. Definitely recommend to others! The Uncrabby Cabby was a great experience! Phil was on time and got to know me on my drive to the airport. I’ll use them everytime from now on and I’ll recommend them to my friends and family! We just used Uncrabby Cabby for a round trip from Evanston to Midway for three adults and two kids in car seats and were very satisfied. The price was $20 below every other quote we got and the service was excellent and on time. We will definitely use them again and recommend to others.